100% Canadian designed and made. 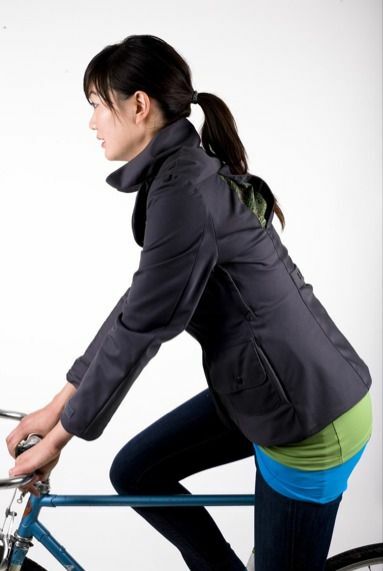 The No.1 Riding Blazer by Riyoko is a stylish and functional jacket. It’s water, wind, and stain resistant with even more practical features like back vents for ease of movement and pit zippers to open when we get a little overheated. Comes in black and charcoal grey with a contrasting print liner. As they say, “Riyoko helps women get from point A to B in style”.